The Relais Torre Mozza is located where the Tuscan land meets the Tyrrhenian Sea, on the blue line that unites sea and sky. Echoes of surf, horizons and open spaces. But above all a place where dreams are unleashed. Torre Mozza is the place to stay ,or the perfect starting point for short trips or longer travels. 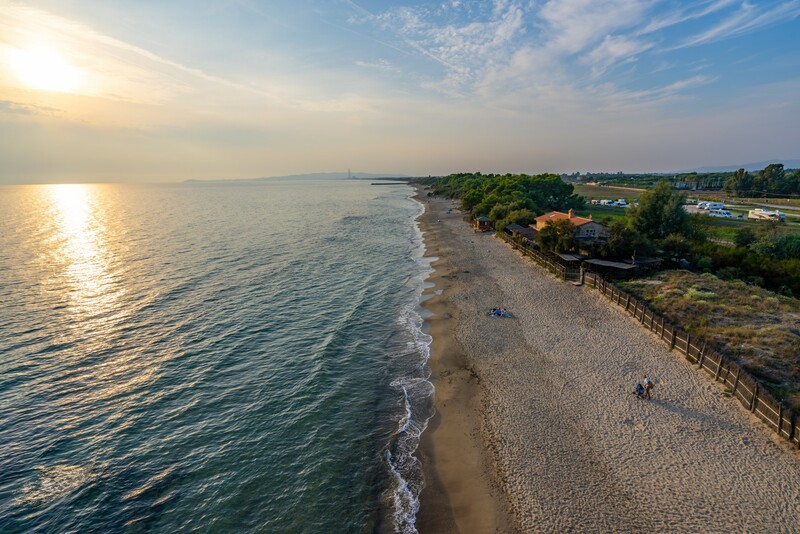 Mother Nature reveals different aspects of the Mediterranean world, from the nearby Sterpaia Park, a splendid example of coastal environment, like Rimigliano; to a hilly environment, intimate and reserved, like Montioni; to the historical charm of the San Silvestro Park. History and archeology are combined in a location which is perfectly integrated into the natural environment like Baratti and Populonia, Etruscan icons of a Tuscany that embraces the sea of ​​Follonica and Piombino, the island of Elba and the other pearls of the Archipelago. Torre Mozza is also an ideal base to visit the art cities such as Florence, Siena, Pisa and Lucca; or Massa Marittima, San Gimignano and Volterra, historic towns easily admired. Without having to travel too many kilometers the Etruscan Coast offers many possibilities to discover the essence of a territory as intact ,as it is noble, from precious vineyards and excellent wineries, that go from Bolgheri to the Val di Cornia, to the small hamlets and villages that tell of all the charm of Tuscan slow paced living : from Campiglia Marittima to Suvereto, to Castagneto Carducci, San Vincenzo and Sassetta. A place of extra virgin oil and aristocratic wines, the land and water around here tells of the warm heart of Tuscany: from the Etruscan Baths of Calidario to the Venturina Spa and Sassetta Spa these are places of comfort and wellbeing, in perfect balance with nature and in tune with it’s history.